It’s time to let go of winter and embrace the sunshine. 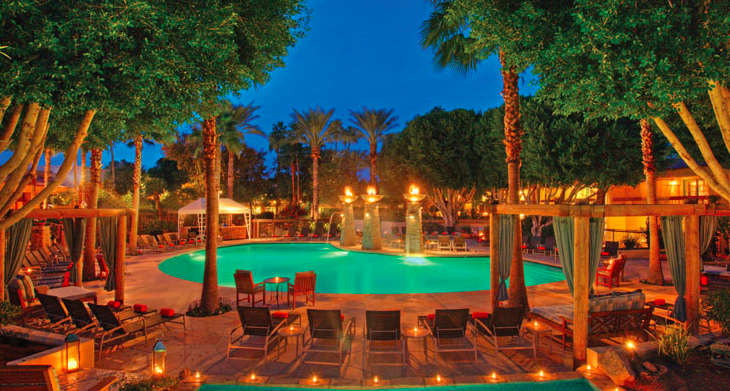 Welcome the warm weather with amazing staycation deals at the FireSky Resort & Spa. Have a case of cabin fever? Book your summer staycation early and save up to 20% off! Pre-paid, non-cancellable, and non-refundable. Reservation will be charged at time of booking. Available May 16, 2015 – September 6, 2015. Must book 4 weeks in advance to receive this rate. Get your daily dose of vitamin D while enjoying a refreshing pitcher of margaritas with this wanderlust-inducing package. Package must be booked a minimum of two days in advance. Must be 21 years of age or older. Available May 19, 2015 – September 6, 2015. Book online or call (800) 528-7867 and mention rate code PTAN. It’s inspired songs and plenty of vacations, girls just want to have fun! …and we couldn’t leave out the gents. · Morning coffee and tea service in living room, hosted evening wine reception in living room, 24-hour access to in-house fitness room, and for Kimpton Karma Reward program members daily newspaper delivered to room and standard high-speed wireless internet access. Book online or call (800) 528-7867 and mention rate code PBRO. For more information visit FireSky’s website at www.fireskyresort.com.